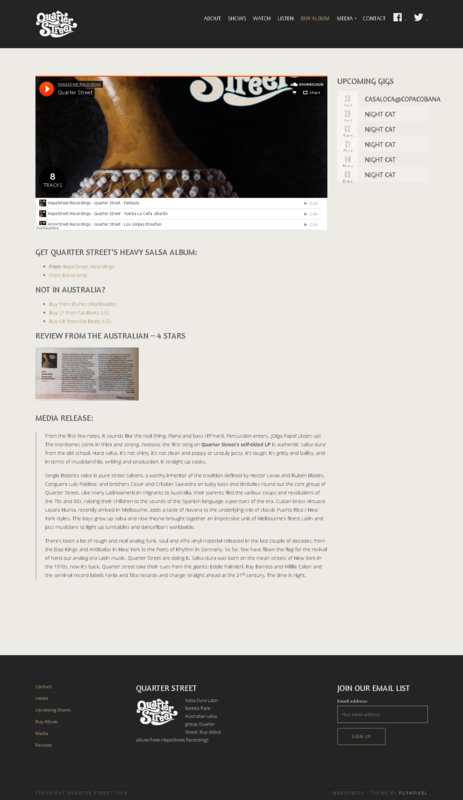 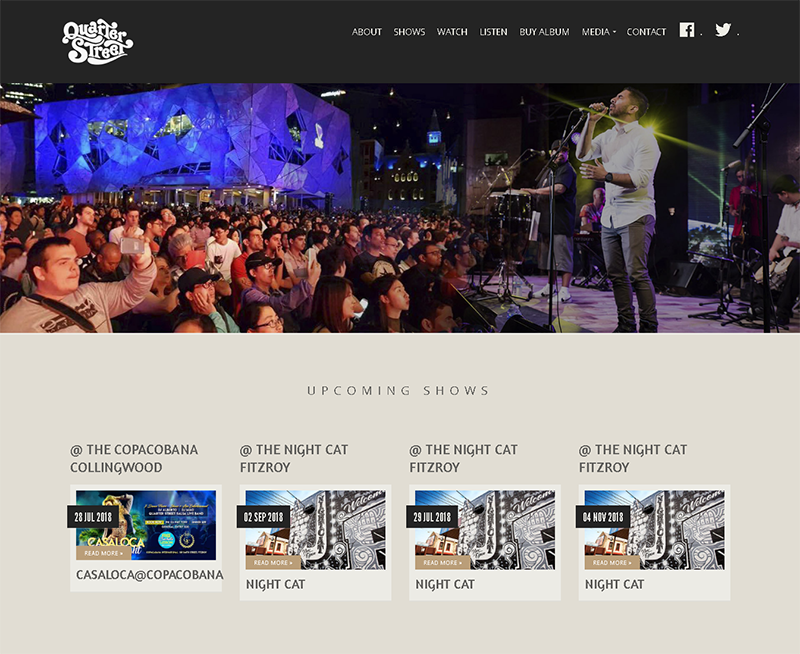 One of the most highly regarded salsa bands in Australia, Quarter Street, needed a easy and efficient website after the release of their award winning eponymous album. 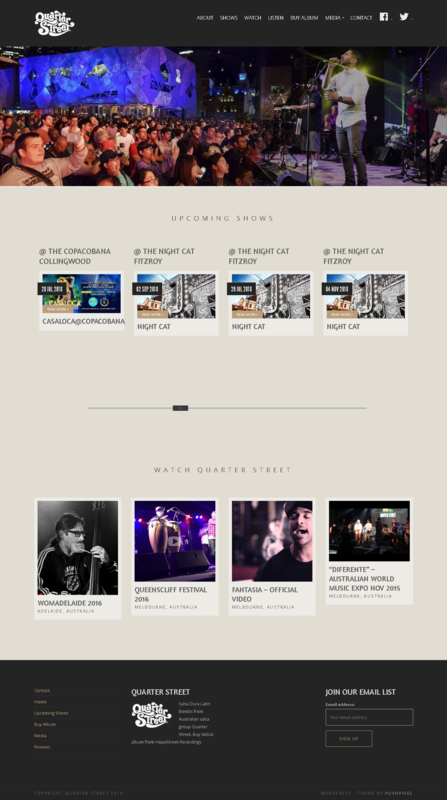 The Quarter Street website contains information on all shows, technical staging requirements, video and audio, for their many peformances all over Australia. 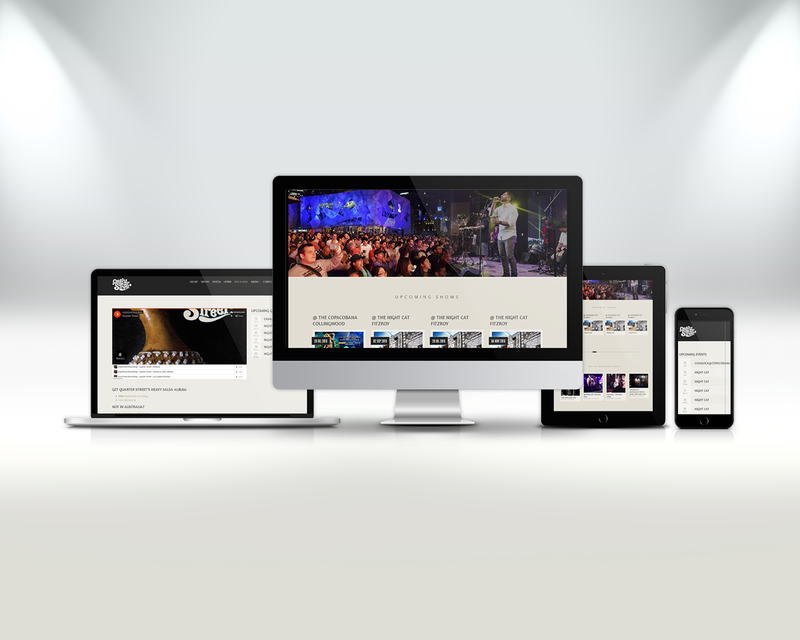 The website was low-cost and easy to manage.